Josh Ritter has always relished his role as a lyricist. He's not only an adroit writer when it comes to clever wordplay, but he understands how to mine the emotional impact of a song. In fact, Ritter is so enamored of writing that in 2011 he stretched his literary wings even further and published a novel, Bright's Passage. For his latest album, Sermon on the Rocks, Ritter deftly balances more personal reflections against a canvas of fast-talking, complex characters and biblical imagery, shapeshifting between songs like the crackling "Henrietta, Indiana" and "Getting Ready to Get Down," which happened to come in at an impressive #5 on WFUV's Best of 2015 Listener Poll of our 90 top tracks of the year. Ritter and his Royal City Band embark on a winter tour this January, including a show at New York's Beacon Theatre on February 20. 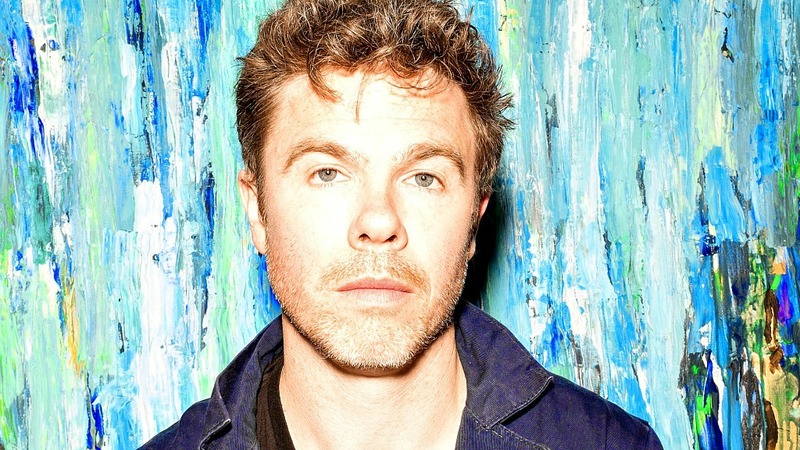 Before the holiday break, we caught up with Josh Ritter over email and asked him for his Five Essential Albums, especially noting those artists who he listened to the most this year. Not surprisingly, his eclectic end-of-year choices ranged from a Grand Ole Opry legend, Dolly Parton, to country newcomer Kacey Musgraves. I saw her sing a song and I thought, damn, now that is special. And she is. Those songs don’t come from nowhere. There is a withering intelligence behind those words, and I am totally amazed with her writing. It bites back. Barnstar, Sit Down! Get Up! Get Out! No end-of-year list would be complete without Sit Down! Get Up! Get Out! by my favorite band to tour with us. These guys are more concerned with revealing the song beneath the singer, then simply sticking a bluegrass filter on everything. If you don't believe me, check out their take on “Sequestered in Memphis” by the Hold Steady. This was a new one for me. I got the LP because i thought the cover was cool and I’d been hearing a lot of good things. I put it on and I was blown away. No vinyl gets the play that this one does. I have the RCA Legends record, but really you can find Dolly everywhere. She’s in the water, she’s in the air, she’s a pretty big part of how we understand the whole country story. And that’s what I'm trying to do these days; just put all the pieces together. "Heartbreak Express" is one of those perfect songs where every metaphor is placed like a piston, exactly at the right time to chug the song forward hard. Of course Roger Miller is encased in the creamy carrera marble of country legend. He was a honky tonker from Fort Worth who found his way to Nashville and then L.A. I’ve always loved him for the rascal in his voice and the heartache in his, well, heart. Read all of WFUV's Five Essential Albums here.